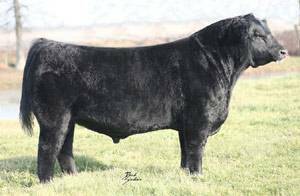 Trendsetter is the "King of the Ring", being named the first ever Triple Crown Winning Grand Champion % Simmental Bull. He was Grand at Kansas City, Louisville, and Denver. Trendsetter is genetic defect free from PH, TH, AM & NH.